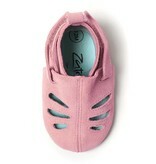 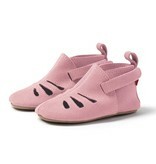 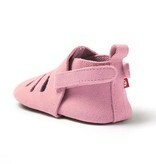 The pink upper body is made of 100% suede leather, a buttery-soft and natural choice. 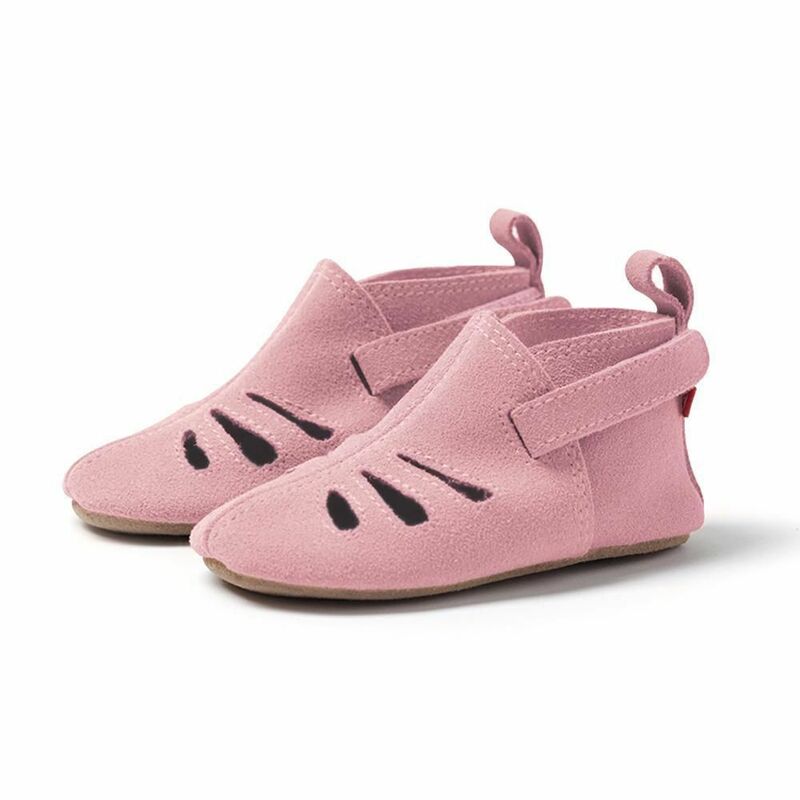 An adjustable hook and loop strap keeps the sandal securely on little feet, while each side strap allows it to be tightened or loosened for the perfect fit. The outsole is made of flexible, soft leather, making it easy for babies to bend and move their feet, while tread at the heel and toes provides slip resistant protection. 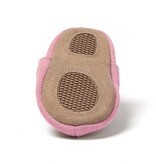 The insole is cushioned with high density foam that keeps little toes comfy all day long.